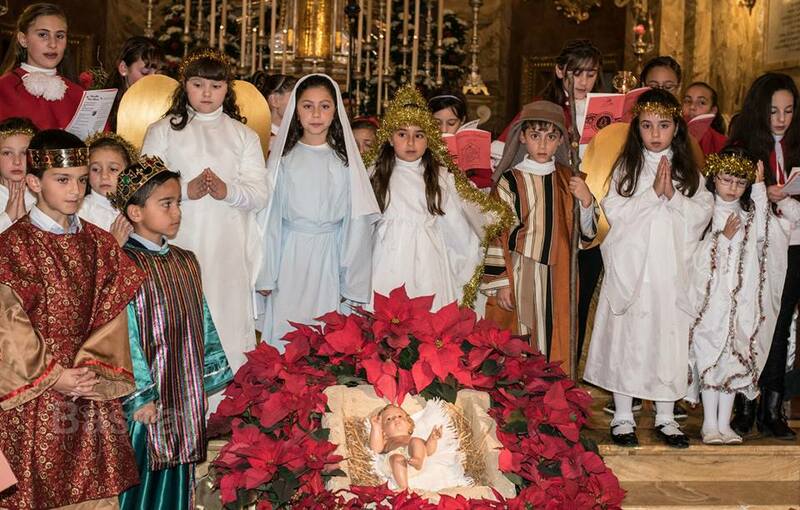 The main activity on Christmas night was the concert that began at 10.30 p.m. animated by the parish choir. There were various interesting items some of which were prepared by the members of the MUSEUM Society of Christian Doctrine. The last item was the Prietka tat-Tifel that this year consisted of two children altar-servers delivering it by heart – Ryan Saliba and Joseph Zahra. Mass began at 12.00 a.m. during which the Archpriest Canon Reuben Micallef delivered his homily. At the end of the Mass the new parish-van was blessed and inaugurated in the parish square. Sunday the 28th will be the feast of The Holy Family. The masses will be at the usual times. On Saturday the 27th at 8.00 p.m. youth frequenting the Santa Marija Band Club of the locality will take part in the play called Restaurant Oliva which will take place at the Primary School. The Feast of the Forty Hours will begin on Sunday the 28th of December followed by Adoration presided over by the priests of the Missionary Society of St Paul. On Wednesday the 31st of December after the 7.00 a.m. Mass there will follow adoration of the Blessed Sacrament in silence. At midnight Mass will be celebrate to inaugurate the New Year and the Solemnity of Mary Queen of Peace. On Thursday the 1st of January at 4.30 p.m. a Concelebration will take place followed by the procession of the Blessed Sacrament.